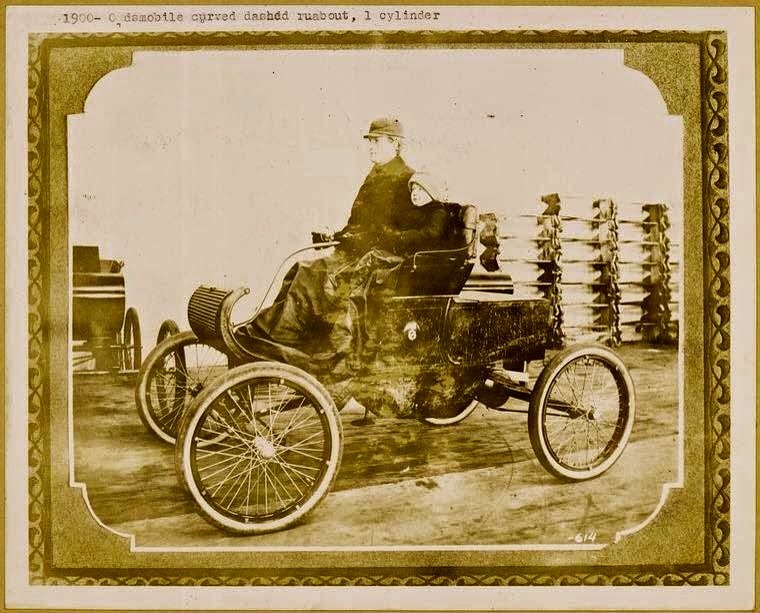 Pictured here is Everett Mead, circa 1901, driving the first automobile in the history of the Town of Greenwich. Enjoy! Historian Spencer Mead published the original history of Greenwich in 1857. (*Correction: It was actually Daniel Merritt Mead who wrote that history. Ye Historie of Ye Town of Greenwich would be published by Spencer P. Mead in 1911. JBM). Hester Bush Mead, an African American and painter, was the daughter of Candice Bush, a slave owned by David Bush. She acquired the Mead name after marrying a freed slave who was once owned by the Mead family. Oliver Deliverance Mead, a prosperous farmer, sold his 120 acres of land at Field Point as homesites in the area now known as Belle Haven. He lived to the age of 96 and was president of the Greenwich National Bank. From the early days of Greenwich, the Mead clan- which appeared in town before 1700- has had a powerful formative influence on the town of Greenwich, a legacy which is still evidenced by the scattered 18th and 19th century houses they built and several graveyards around town. Now, a family member has created a Web site at www.meadburyinggrounds.org in hopes of garnering the attention of family descendants. 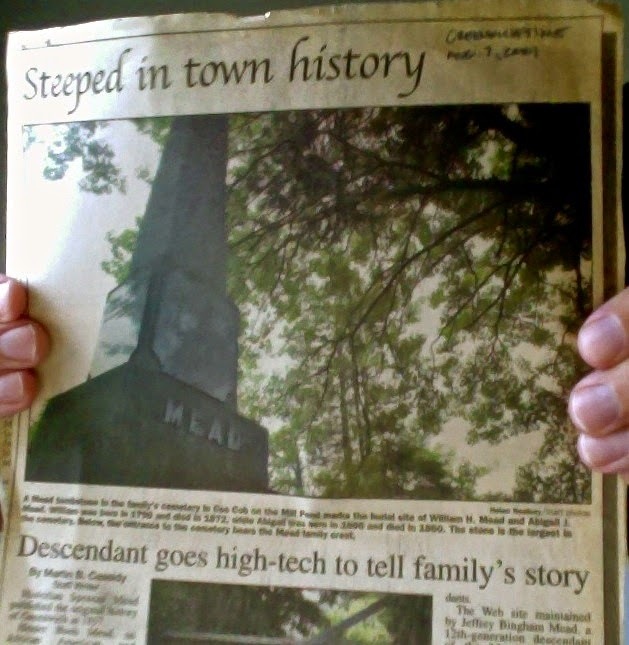 The Web site maintained by Jeffrey Bingham Mead, a 12th-generation descendant of the Mead family and Greenwich native, centers around three Mead burial plots -one in Cos Cob on the Mill Pond, one in North Greenwich and one on North Street at the intersection of Taconic Road-and a twice yearly newsletter he writes about the family's history. "We felt our family descendants and friends would benefit from having a forum in which the history of these sites and the family could be explored and published without traveling far to acquire it," Mead said, who now lives on the island of Oahu, Hawaii, and is a social science professor for the University of Phoenix, which has a branch on the island. 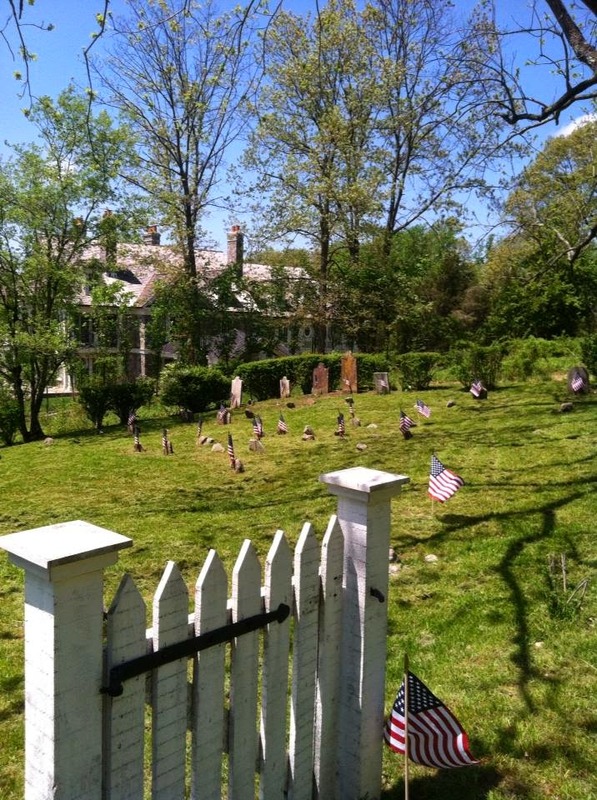 Mead, an expert on Greenwich's burial grounds, also undertook a project to restore the three family burial plots in the early 1990s as part of Greenwich's 350th anniversary celebration. He has also written a book on the freeing of slaves in Greenwich titled Chains Unbound: Slave Emancipations in Greenwich, Connecticut. The online site includes details about the local burying grounds and who is buried there, as well as articles and essays on the Meads and other aspects of town history. In the spring online newsletter, Mead writes about Hester Bush Mead and a painting she may have made of the house of Jabez Mead. Hester Bush Mead's other artwork and the fact she was a free employee of Jabez Mead's family lead him to believe she is the artist of the unsigned painting. "She could be the mystery artist of this painting," he said. "It's quite an amazing example of early American folk art." 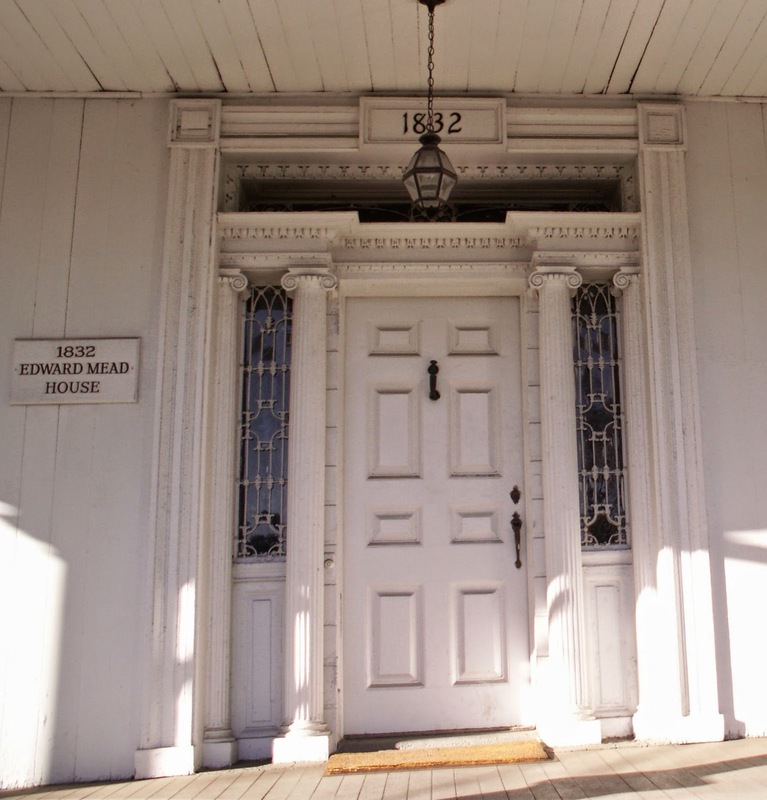 Several Mead homes are still in existence in town including the home of Oliver D. Mead on Pear Lane, Susan Richardson, an archivist for the Historical Society of the Town of Greenwich said. A handful of Mead descendants also remain in the area, and the historical society has amassed a large collection of documents, artifacts and clothing from the Mead family, Richardson said, but she had not seen the Web site. "The Mead's were great savers, and they love to write history," she said. "They intermarried quite a lot so there genealogy is very challenging." The Mead family was unusually large and made up of local farmers, merchants, business people and lawyers, Richardson said. Jeffrey Mead expressed disappointment about the impending demolition of the Benjamin Mead Homestead on Cliffdale Road. The land was bought by Benjamin Mead in 1707 and contains one of the burial plots that Mead restored. 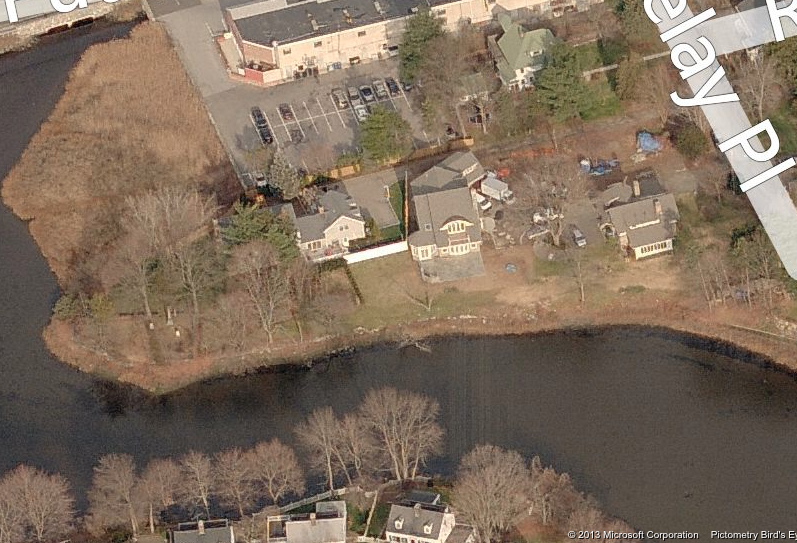 The new owner of the house has permits to level six colonial-era buildings to make way for a new residence. "There are a lot of Mead houses left in Greenwich but it's sad to see that one go," he said. I have read ___ several articles that have appeared in the GRAPHIC both in the SOUTH and those respecting the roads of this town written by our worthy friend Mr. Solomon S. Mead. I do not know about the South, but I am supposed to know something about the roads of this town for I have traveled many of them twice over, in collecting the taxes of the town, and still others one hundred times over. It is very easy to talk about good roads for men who have plenty of money and no farm work to do, but is the talk that we hear about good roads really practical to the working farmer? If a man has plenty of leisure time and money to spend good roads are very nice, but if he depends upon the working of his farm by raising crops upon it, he will as they ___sed to say have to try to make two ends meet, and instead of the ends meeting there would be but one end, that would be bankruptcy. “I know the ___es” as the sailors say, for I have been through the mill. They seem to have the wrong impression of what it would take to put the roads in apple pie order. Take Weaver street, and the roads ___ Dumpling pond and Dingletown and Gognawog and the Exard, it would last as much as the land would sell for. He seems to think that we do not know how to work the roads. There are lots of men in the town who know how to work the roads as well as the Road Commissioner in the north east corner of the state, who gets perhaps ten dollars per day (____ do not know how much) and roast beef and custard pies in winter and ice cream in summer. How many thousands of dollars has the town of Greenwich spent on the four hills from Greenwich to Port Chester, Cl. Thomas Mead’s hill, the Toll Gate hill, the Nigg__ _ole hill, the by ram hill, and the ____ are there yet. Our friend must have traveled back towards Stanwich and Banksville by the impression he has of the width and grading of the roads. After the New Lebanon dock on the Sound is finished let him come to, the village of New Lebanon and see the different steers in that locality beginning with the ___ road until it joins Sound View avenue, the whole length to Charles Mallory’s gate. Let his hours have a walking, wait, and view the buildings adjoining the shore of Long Island Sound, the shrubbery and the well kept lawns, and he will not have such a sneaking opinion of the roads of New Lebanon, Byram Shore, and the Town of Greenwich; and if he continues his journey through to Water Street from Byram Point to Byram Bridge also Mead avenue from the New Lebanon market on the north end to Water Street on the south end he will see what a fine bridge we have across the Byram River at New Lebanon, with the trolley track from Main street in Port Chester through the village of New Lebanon to the village of Greenwich. ____ there it is rather difficult to tell how far it extends. I will not write anymore about New Lebanon at present, for it might be an unwise policy; it might incite jealousy in regard to out prosperity in the other part of the towns of Cos Cob, Stanwich, the south part of Banksville, and North Greenwich, _____ the district of New Lebanon on the ____ land. You made two mistakes in your article, you state in the beginning, that “that in the beginning of the nineteenth century,” it was the eighteenth century, that Capt. 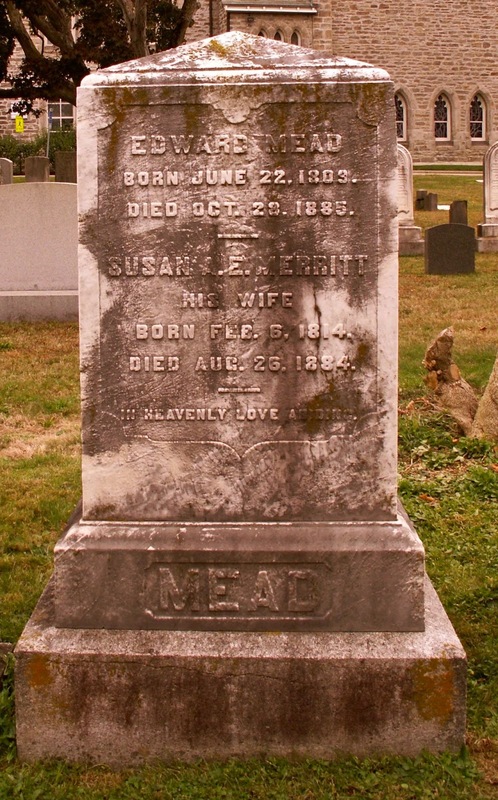 Abraham Mead was born Dec. !4, 17__, and died Dec. 24, 1827. You state that the farm was bought by Jonas Mead of Jeremiah Mead. It was owned by Jeremiah Mead and sold to Daniel Close, who sold it to Jonas Mead. It says the old house was built by Mr. Close ; it should have been Mr. Jeremiah Mead. The above letter, which refers to the article on Mr. Milo Mead which appeared in the ___ of the GRAPHIC, of Aug. 29th, reached us a few days ago. We always make an effort, in publishing an article of this sort to be as accurate as possible. It is very difficult to get information about events which took place a century or more ago or in writing descriptive articles of this nature. But this is the strange part of it: The people from whom it is hard to elicit any information, when we are trying to get it for ____, seem suddenly, once the article has appeared in print, to blossom out into and old knowledge of all that we found it do difficult to learn. Even in cases where the proof-sheet is submitted for inspection, the trouble does not seem to be obviated. We publish the information as we get it, but our informants do not always adhere to their original statements. There is something about clear cold print that seems to make all mistakes standout _____ingly, and there seems to be something about the appearance of the printed sheet which clarifies the memorys.